This week’s Family Day served as a day for people to take a break from work related activities and enjoy personal time with their families and friends. However, striking that perfect balance between career and family has always been a challenge for many people. 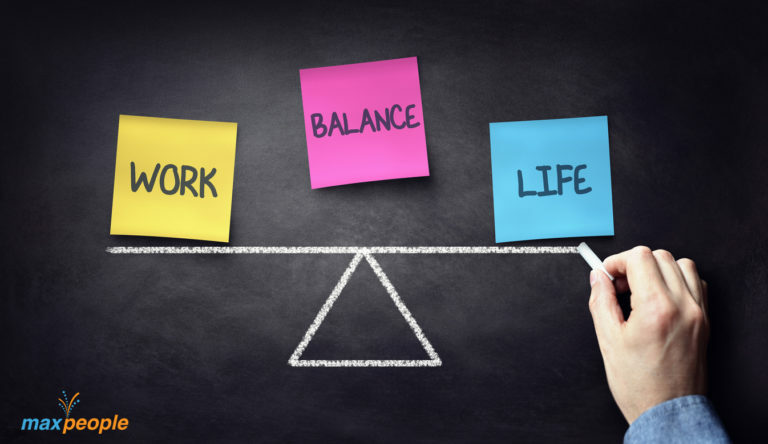 As employers, you are not responsible to provide work life balance for your employees, but it is essential that you help employees to attain this balance. Promoting this balance is beneficial to both employees and your organization since employees with a positive work-life balance perform better. Having more balanced employees can improve retention, decrease employee burnout, improve employee health, reduce absenteeism, and increase productivity. Human Resources can help employees achieve that ever-elusive work-life balance. There are several ways to encourage a healthy work life balance for your employees. Firstly, you can consider offering certain types of benefits to your employees such as providing employees with access physical activities. Many organizations now have onsite gym facilities or even provide employees with a membership discount at a local gym. This can help reduce stress and promote overall employee health and well being. Another option is providing childcare services as many households now have both parents working full-time and studies have shown that family friendly work environments are a benefit to both employers and employees. Employers can provide onsite childcare or even provide childcare service discounts to alleviate the stress of caring for children during the work week. You can also host company outings to help boost employee morale and help workers get to know each other in non-stressful settings. This could be done as a paid company lunch or dinner or setting aside company time to socialize. – Creating designated quiet spaces. Have places in the workplace to allow employees to take a mental break and destress. – Allowing greater schedule flexibility. Having flexible work arrangement policies in place that can give employees the option to work from home at certain times. – Engaging in team building exercises. These exercises allow employees to bond with each other, learn to work with each other and become less stressed at work. – Encouraging employees to use their vacation. When employees use their vacation time and take the time off work they have the opportunity to refresh and rejuvenate. – Encouraging short breaks throughout the day. Taking breaks has been shown to increase productivity levels. This will help relieve fatigue, help employees become more focused and less burned out. – Schedule seminars on work-life balance. Providing information about work-life balance to employees can foster a better culture. Having these sessions will keep the feedback loop open and help employees understand its importance. This can create better work and personal habits as well as ways to manage workloads. – Offering community engagement opportunities to provide employees with opportunities to get involved in important community causes. Striking a perfect balance between work and personal time has always been a challenging issue for many people but there are several ways employers can help reduce this issue. Your biggest asset is your employees, by investing in practices which promote work-life balance you invest in your own organization. By promoting work life balance, your organization will see higher employee retention rates, which results in less time-consuming training, increased employee engagement and a higher degree of in-house expertise. For help with work-life balance for your employees, reach out to MaxPeople for assistance.